The Chambers Hotel Kidz Rule Package includes pint-sized terry robes, Playstation 3 in room, and a $25 gift card to Dylan’s Candy Bar! 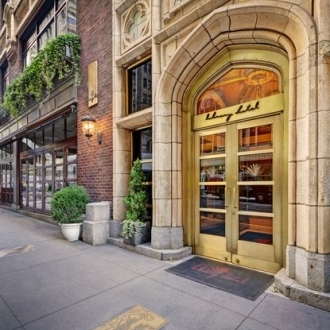 Located just of 5th Avenue on 56th Street, Chambers is close to shopping, museums, and Central Park. Luxurious and sophisticated, Chambers offers inspiring art in all of the rooms and public spaces, a sophisticated vibe, and superior yet relaxed service! See all of their great specials at Chambers Hotel Specials. They’re calling it “Snowy Streets Warm Sheets!” and it would be great for a weekend, or a longer stay. Their package includes two tickets for ice skating in Bryant Park, lunch at Madison & Vine, and their “Warm Sheets” turndown which includes hot chocolate, two Library Hotel mugs, and “Funky Chunky” gourmet caramel popcorn, and a stack of some of their favorite books to read. The mugs and books are yours to take with you. Package availability November 1, 2012 through March 3, 2013. See their website for limitations and exclusions. Read more about this Winter Package on their Special Offers page. Go to the Library Hotel here.